Architects and interior designers can create original flooring designs to reflect their personal taste with these products. Tiles from the original Fields range which was successfully introduced in 2014, can be combined with Fuse and Fuse Create elements to transition between two plain-coloured areas in an office, helping to create a separation between different zones or an easy navigation at the workplace. The products can also be installed randomly, creating bold and powerful flooring designs. The two products are made from a tactile yet hardwearing looped material, giving the floor a comfortable yet professional-looking bouclé effect. 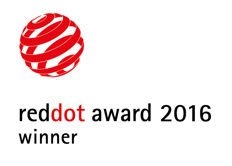 With 41 experts from around the world, chosen according to strict rules, the Red Dot Award: Product Design guarantees a high level of competence in the judging process. The jury comprises freelance designers, design professors and specialised journalists – but never designers employed by potential contestants. “Both Fuse and Fuse Create are available with the Cradle to Cradle® Silver certified EcoBase™ backing, which gives the perfect balance of award winning design and environmental responsibility” says Roland Jonkhoff, Managing Director of Desso.